The Certified Physical Therapy Aide Specialist (CPTAS) exam prepares individuals in the field of Therapeutic Services for a career as a Physical Therapy Aide Specialist. Achieving national recognition as a CPTAS will ensue you are recognized by employers in the industry and demonstrate you are prepared for a career as Physical Therapy Aide Specialist. Certified Physical Therapy Aide Specialists (CPTAS) are an important part of a professional physical therapy staff. Certified Physical Therapy Aide Specialists (CPTAS) are employed by hospitals, physical therapy offices, orthopedic clinics, and personal care facilities to work under the direct supervision of Physical Therapist and their assistants. Certified Physical Therapy Aide Specialists (CPTAS) assist in caring for the facility, help patients to and/or from the therapy areas, complete clerical tasks, answer phones, and assist patients with insurance paperwork. CPTAS play a significant role in helping to make therapy sessions productive for Physical Therapists and pleasant for the patients. The demand for therapeutic services has increased as the population of middle-aged and elderly people has grown. According to the U.S. Department of Labor, demand for Certified Physical Therapy Aide Specialist (CPTAS) is expected to increase by 43% by the year 2020.Earning the National Career Certification Board’s (NCCB) Certified Physical Therapy Aide Specialist (CPTAS) designation will allow you to stay stand out as a professional Physical Therapy Aide Specialist among your competition in the field of Therapeutic Services. The median annual wage of physical therapist aides was $23,680 in May 2010. The lowest 10 percent earned less than $17,270, and the top 10 percent earned more than $34,670. Most physical therapist assistants and aides work full time. About one in four worked part time in 2010. Many physical therapy offices and clinics have evening and weekend hours to match patients' personal schedules. 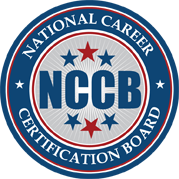 NCCB Certification demonstrates that you have achieved the entry-level of professional knowledge in your specific field.